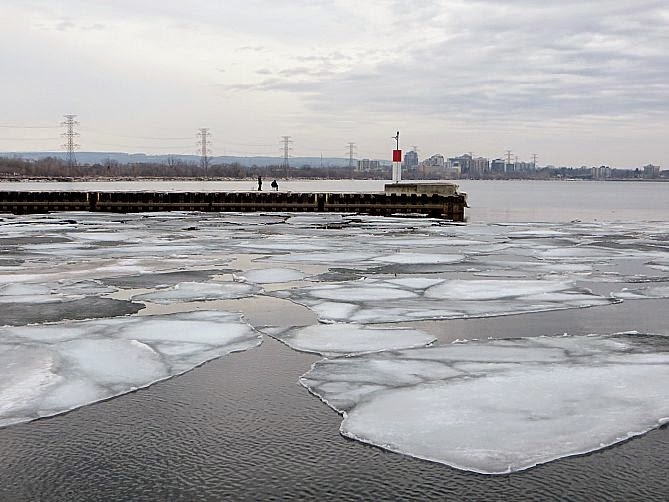 It didn't really feel like it, but we hit double digits today of 11ºC though, with a windchill, it felt much colder and it will keep on getting colder again as the week moves on. So, I thought it was high time I went for a walk and took some photos and posted some sort of adventure. And see if I have any readers left. I set off to the beach. and yes, it is right on a hydro corridor and beside a busy highway! 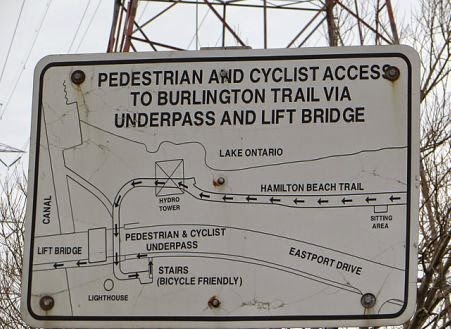 The bridge in question is the lift bridge over the canal between Lake Ontario and Burlington Bay. 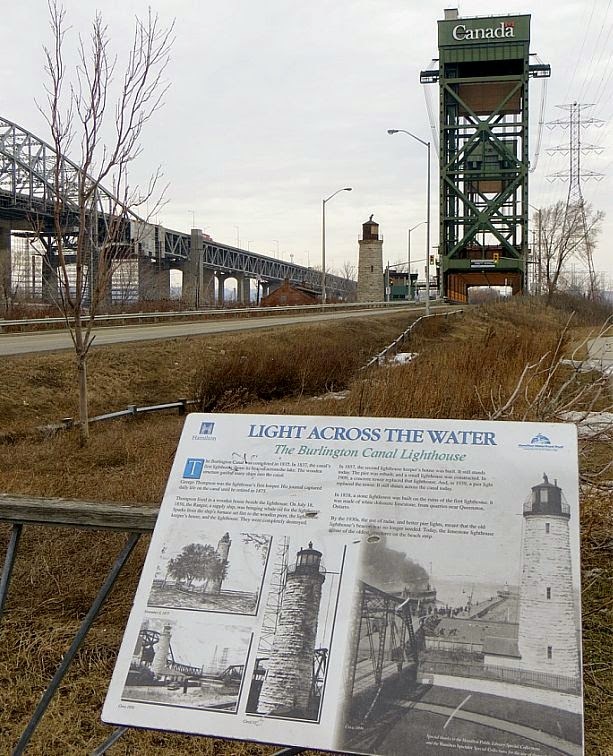 There's information on the history of the canal lighthouse which was built in 1858. It's been decommissioned and is now boxed in (and dwarfed) by the two bridges. Another sign has a helpful map to guide pedestrians who wish to cross the canal, which can be especially confusing when the trees are full and blocking the view. 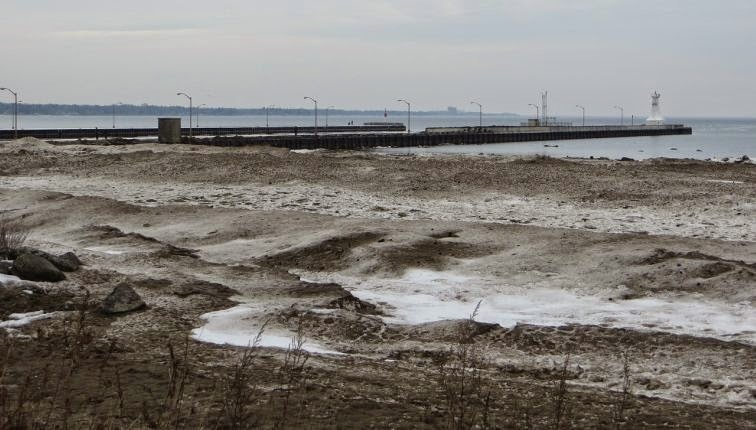 Interestingly, the ice was moving out from the frozen bay to the open lake when I arrived, but was moving back into the bay by the time I'd walked the length of the pier. 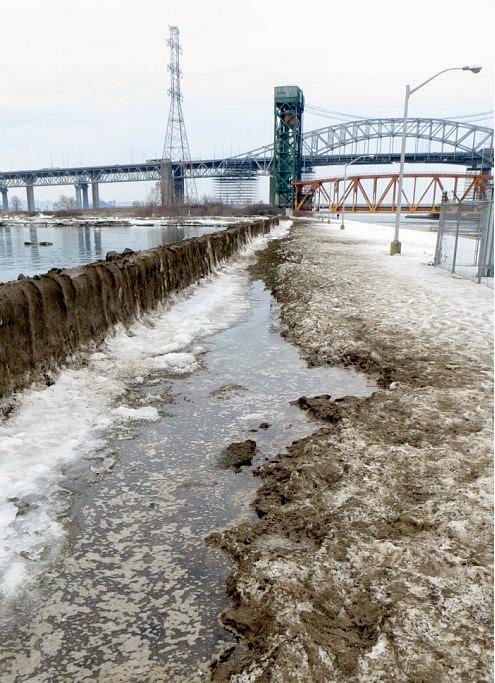 Spring melt is not fun or pretty, especially in the city and there is news that more snow could be on its way by the end of the week. March is always unpredictable. And spring may delayed. But at least there are some ducks to see. I found the lighthouse in that shot. I hope it's being maintained as a historic site. frustratingly, it's not. 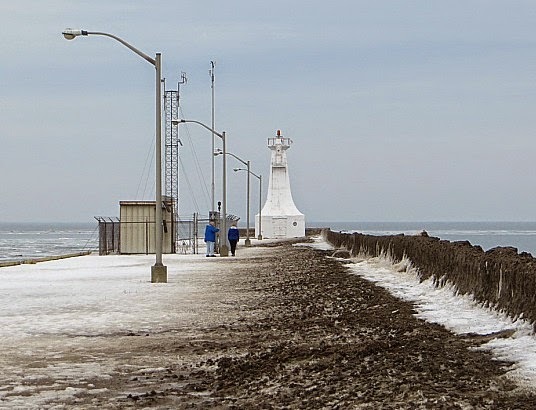 there is an active Friends of the Lighthouse group, but it's an ongoing struggle to get heritage designation. Gosh, that looks rather chilly! I was out gardening this afternoon and while it wasn't exactly warm, it was quite tolerable. 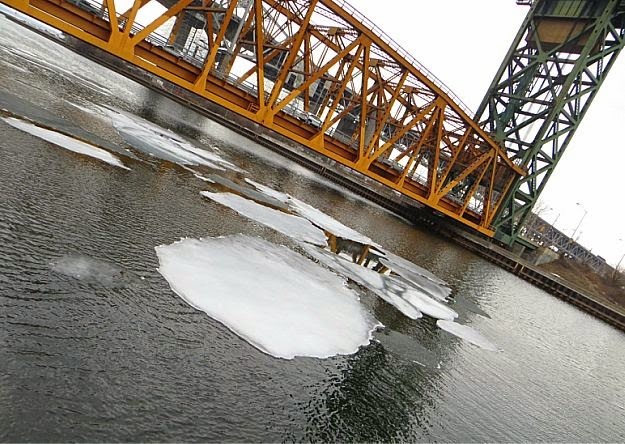 Hope your snow keeps on melting! 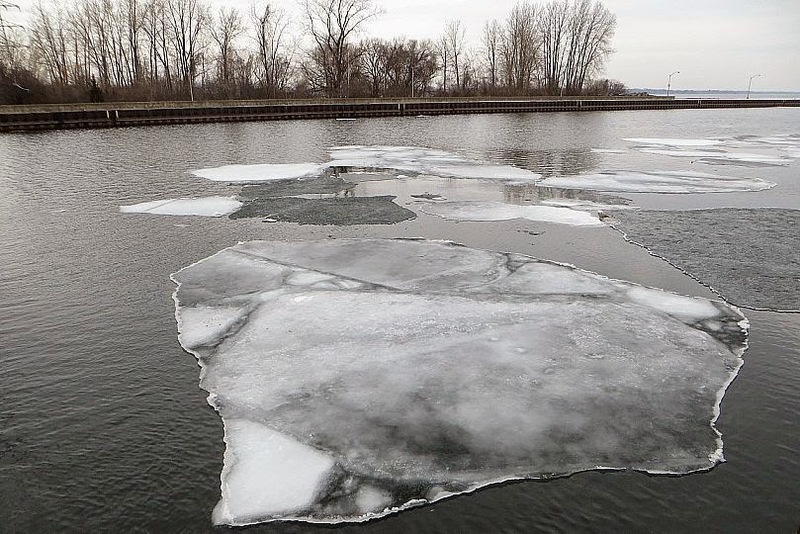 Well, I was excited by the floating ice, but the rest was pretty depressing. No wonder you were dazzled by my boats, when you found them. :) Mind you, I have flat grey skies here in the north of England too, but none of that mush, thankfully. Hope your weather cheers up some time soon, and thanks for the link. As much as I like beaches, right now this beach doesn't beckon me at all. So 11 C is around 70 F? Incredible sights of snow and ice. 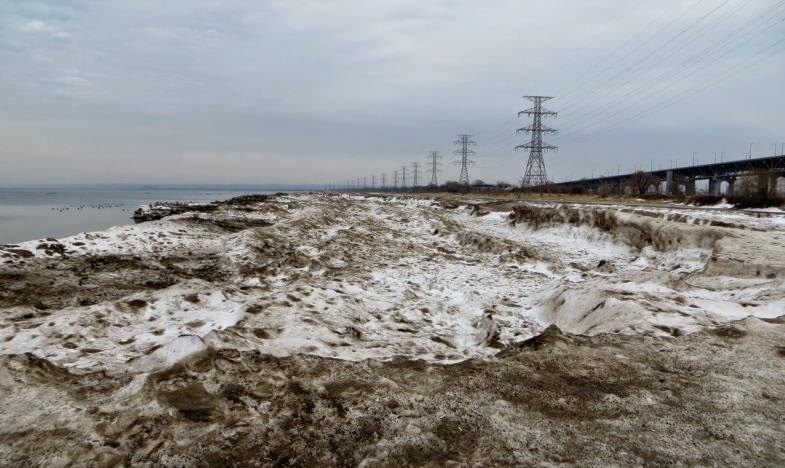 It seems so strange to see snow and sand together. Oh my, that is some dirty snow!! 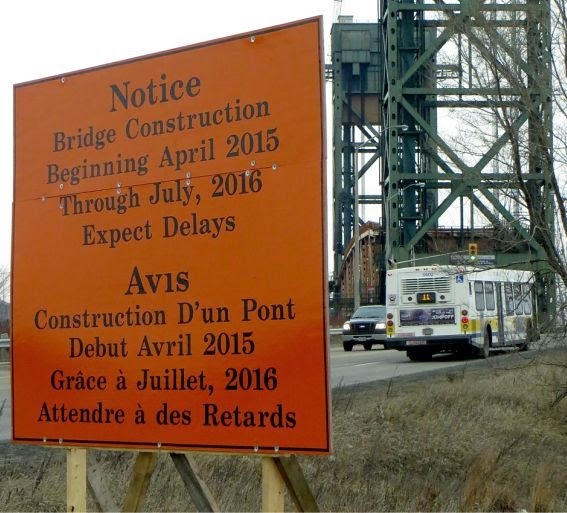 I'd forgotten about the bridge repairs - thanks for the reminder. I can see that you are ready for spring! I like seeing where bloggers live. I had to google the temperature to translate it. 50 feels great in the winter, but chilly once it's supposed to be spring. The good news is that you didn't let the weather discourage you. You got out there. You walked. You recorded a moment of history. Oh, I don't know, it has a certain atmosphere! Wonderful series of nature shots! 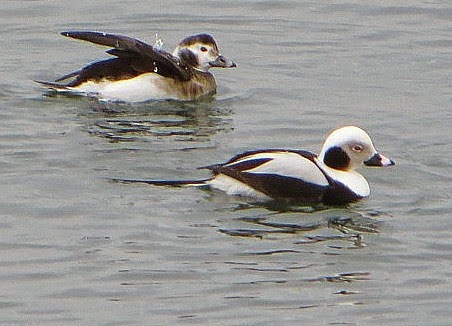 Wintry but nice ~ love the duck photo!